Provide comfort for the family of Vincent Diano with a meaningful gesture of sympathy. 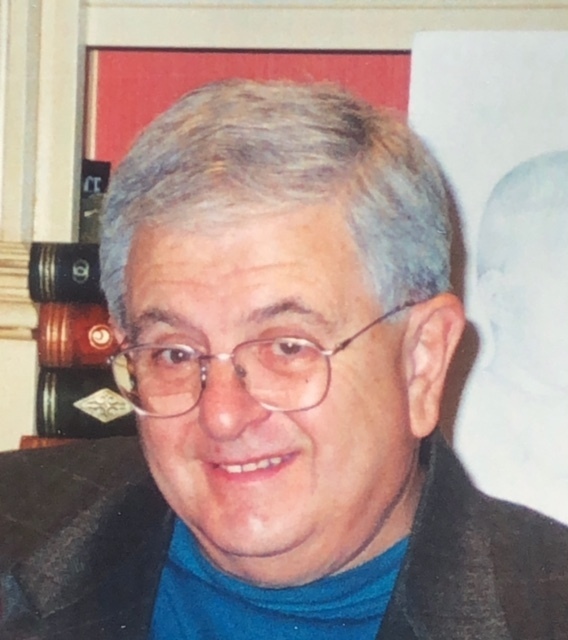 Obituary for Vincent J. Diano Jr.
Diano, Jr. - Vincent J., born November 12, 1938, died February 28, 2019. A resident of Brigantine, Vincent was the beloved husband of Doris Diano (nee Zuber); father to Valerie Lynch of Montclair, NJ, and Andrea Smith of Chestnut Hill, PA; grandfather to Olivia, Lucy, Martha, Claire and Sarah; and brother to Jonathan (Judy) Diano. Vincent is survived by his stepchildren Michael and Jeffrey (Susan) Zuber and their families, in addition to the children and grandchildren of Wendy Z. (Brian) McNally who predeceased him. He is also survived by his son-in-law Brian Lynch, many Diano and Carpino cousins, loving in-laws, nieces, nephews and a host of long-time friends. Vincent was predeceased by his first wife Martha (nee Ghisu), parents Vincent and Frances, and his son-in-law Lewis duPont Smith. Born in Philadelphia, Vincent attended Temple University where he competed on the fencing team, and LaSalle University, graduating with a degree in Chemistry. A lifelong learner, he embarked on a research career at Wills Eye Hospital only to set his sights on plastics, working as an R&D Polymer Chemist for General Electric. When GE offered him a major promotion and the opportunity to move to the Berkshires, Vincent made a decision to keep his wife and children close to their family in Philadelphia and changed career paths, this time working as a quality assurance engineer at Hygrade Food Products, later purchased by Sara Lee. After a long and distinguished tenure as Technical Services Director and Head of Quality Control, he eventually retired to pursue his many passions, including sailing his boat, fishing, game hunting, skiing with the Buck Ridge Ski Club, and volunteering with the US Coast Guard Auxiliary Flotilla 4-76. A fierce competitor, Vincent famously enjoyed a lively tennis match as much as a boisterous game of pinochle. A self-taught musician, he was a talented mandolin player with an encyclopedic knowledge of classical music and opera. Above all else, he loved spending time with his family and friends, eating good food and engaging in spirited debates. A true renaissance man, he will be remembered for his intelligence and inquisitive nature, an intrepid sense of adventure, his fairness, good humor and charming disposition, and his unwavering commitment to those he loved. We miss him profoundly. A Celebration of Life will be held at 8815 Norwood Avenue, Chestnut Hill, PA on Sunday, April 7 from noon to 4pm. The memorial service begins promptly at 12:30 to 1:30. Memorial donations for classical performance and music education may be made In Memory of Vincent Diano to VoxAmaDeus, PO Box 203, Gladwyne, PA 19035-0203, OR online to JAZZ HOUSE KiDS at www.jazzhousekids.org. Arrangements entrusted to and condolences may be left for the family at adams-perfect.com.